An old favorite! With soup, buttered for breakfast with eggs, there are so many ways to enjoy cornbread. Saute corn in butter about 5 minutes, remove from heat and add milk. Mix in the egg. Separately, mix together all dry ingredients, and then mix with the wet ingredients. Pre-heat a deep, oven-proof, greased pan (cast iron skillet is perfect) either on the stove or in the oven at 200 C (425 F). 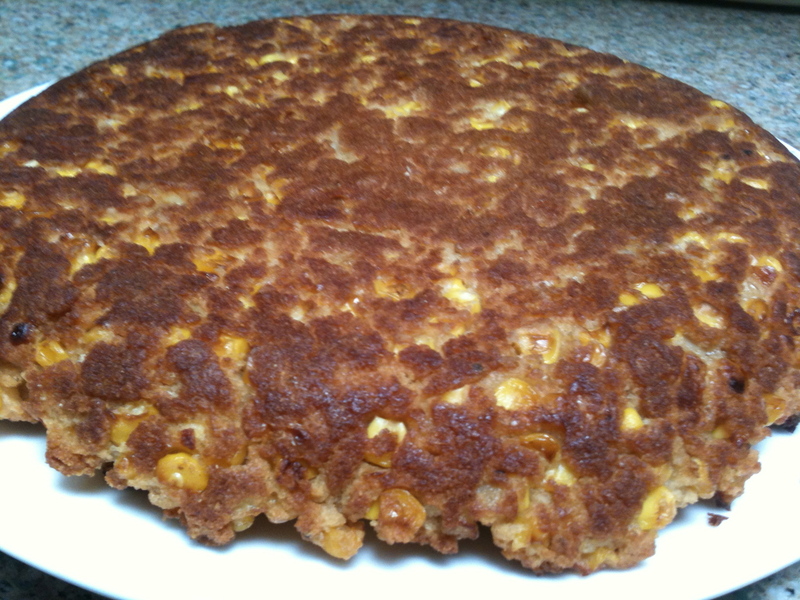 Pour the cornbread mix into the hot pan, and then place in the oven and bake about 20-25 minutes until done. Remove from the oven, let cool slightly, then turn out onto a plate or cooling rack.